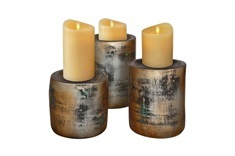 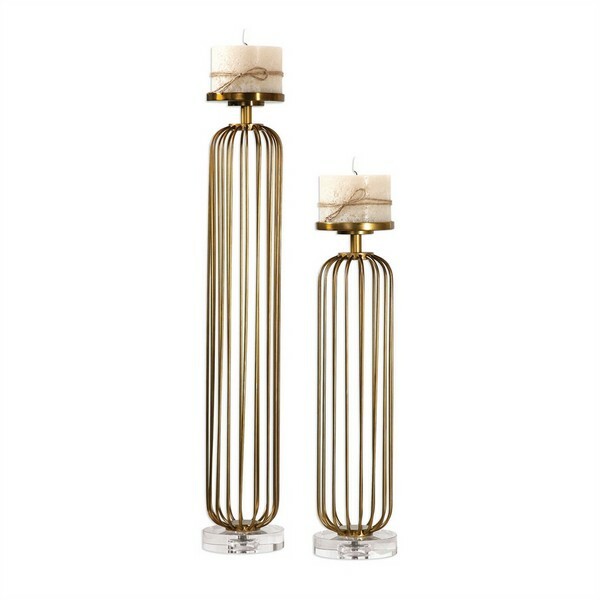 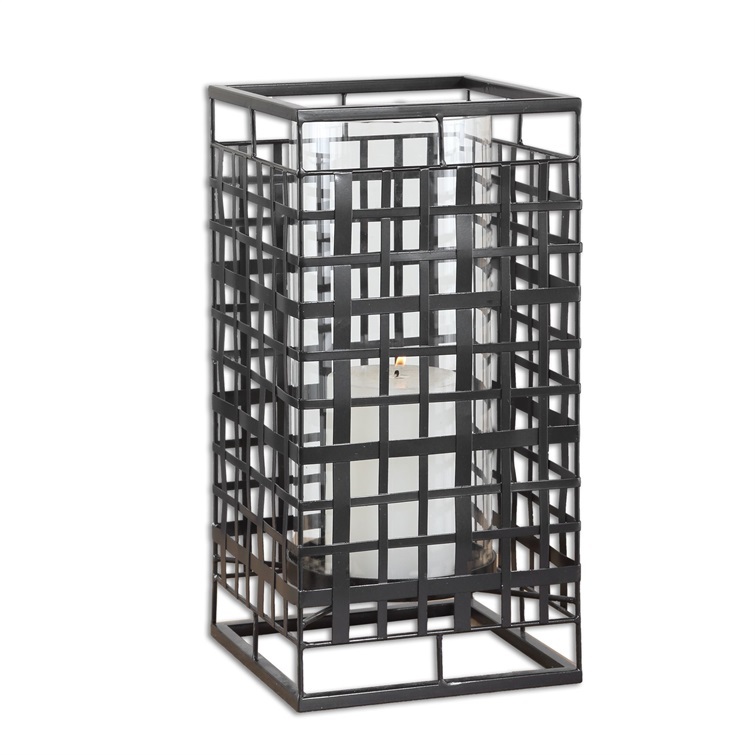 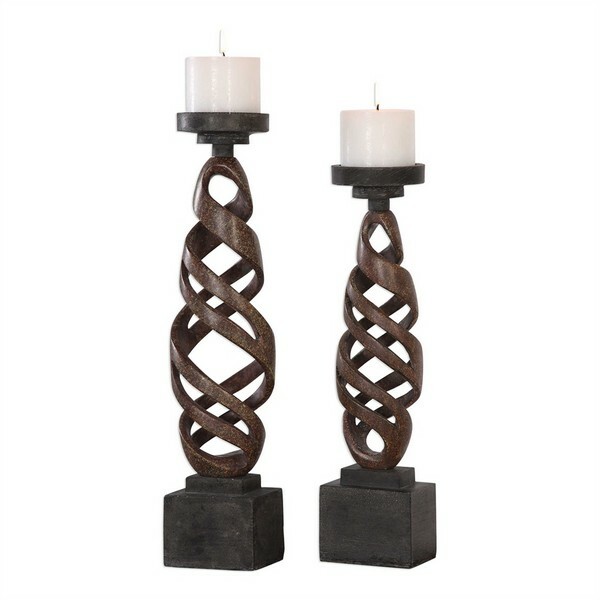 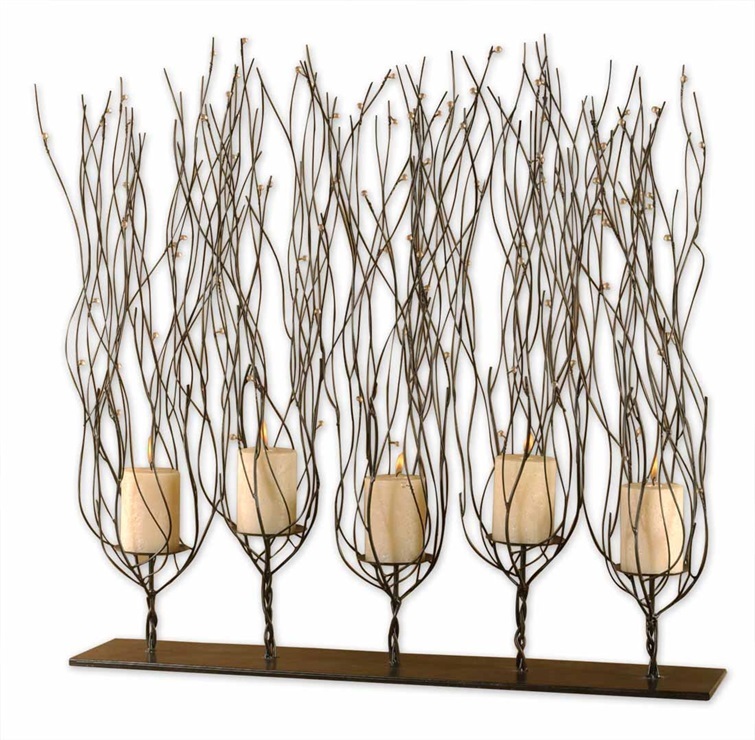 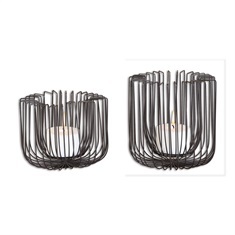 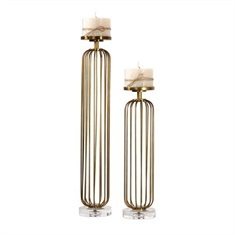 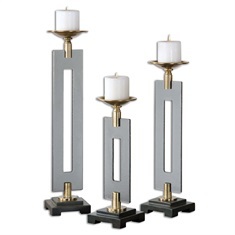 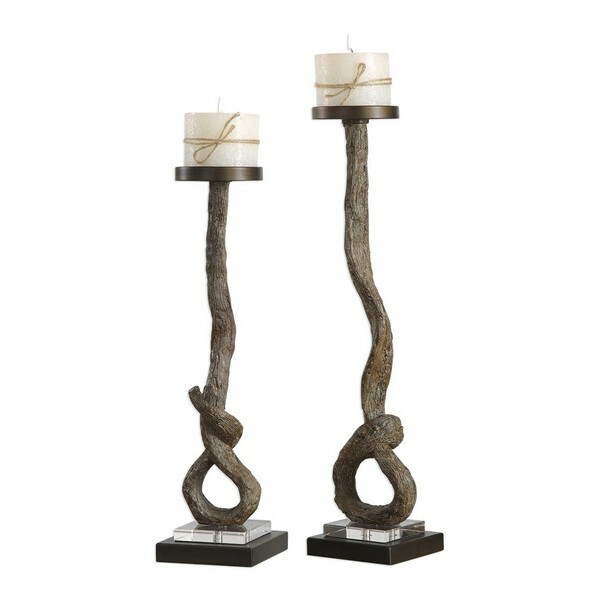 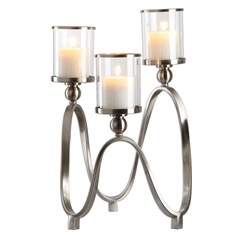 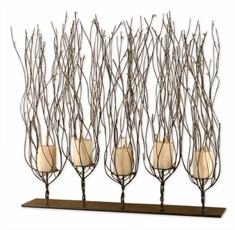 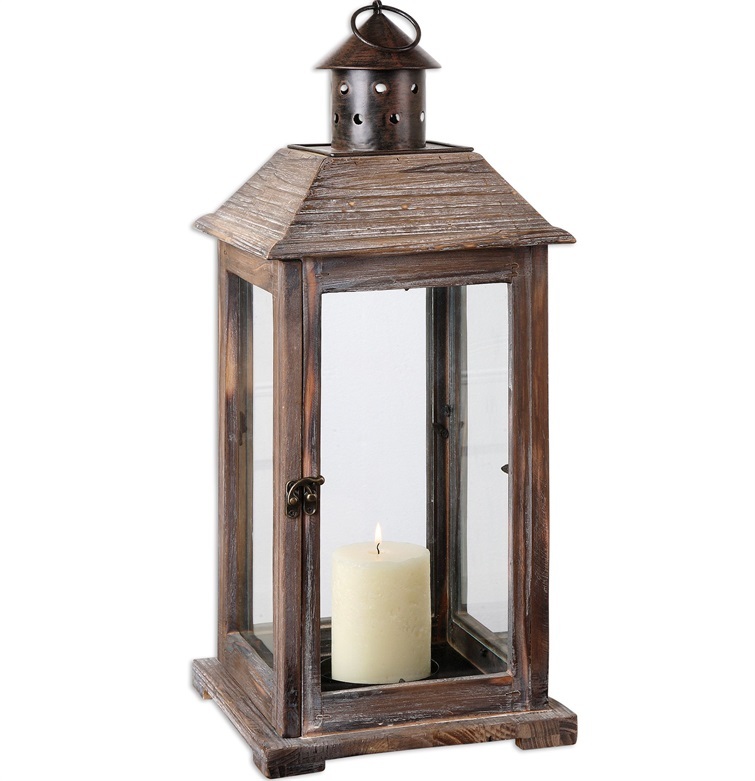 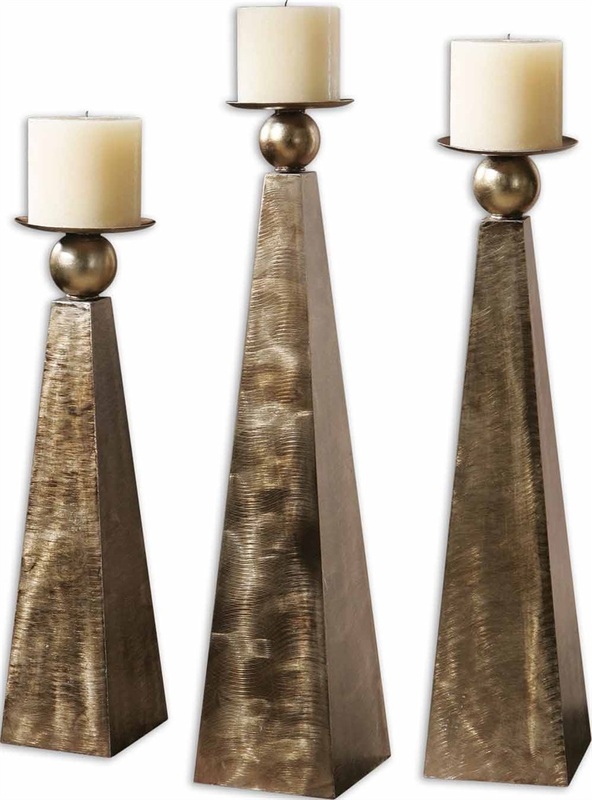 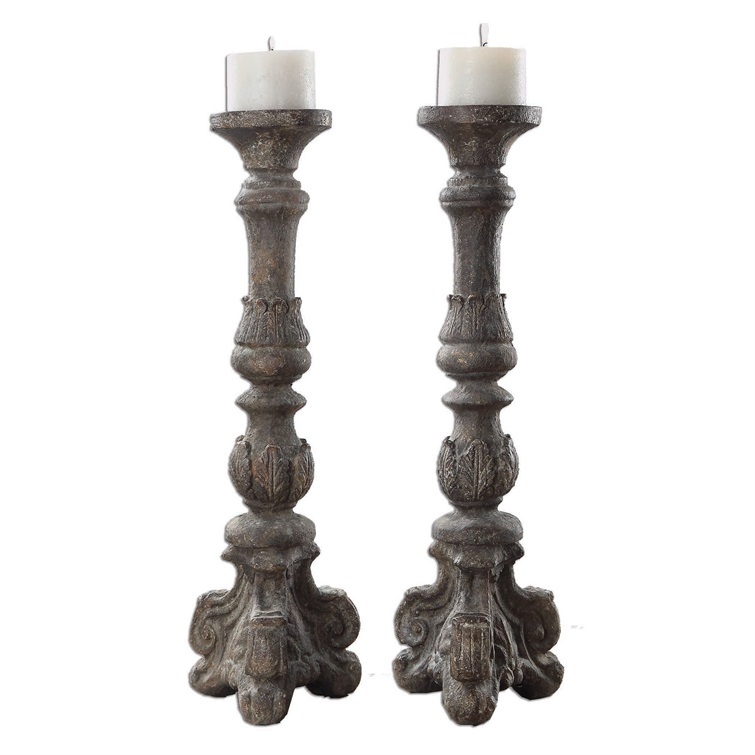 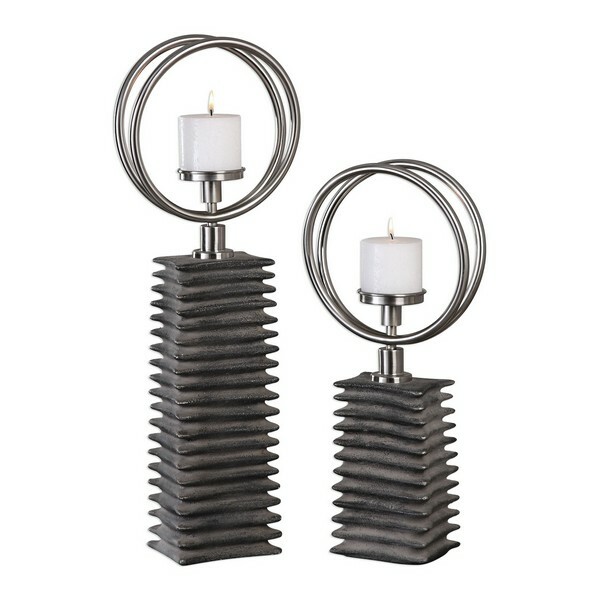 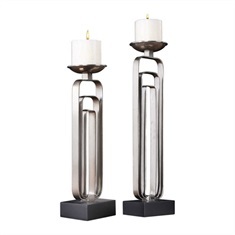 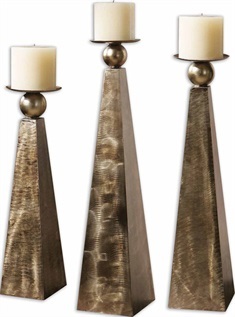 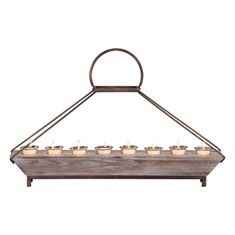 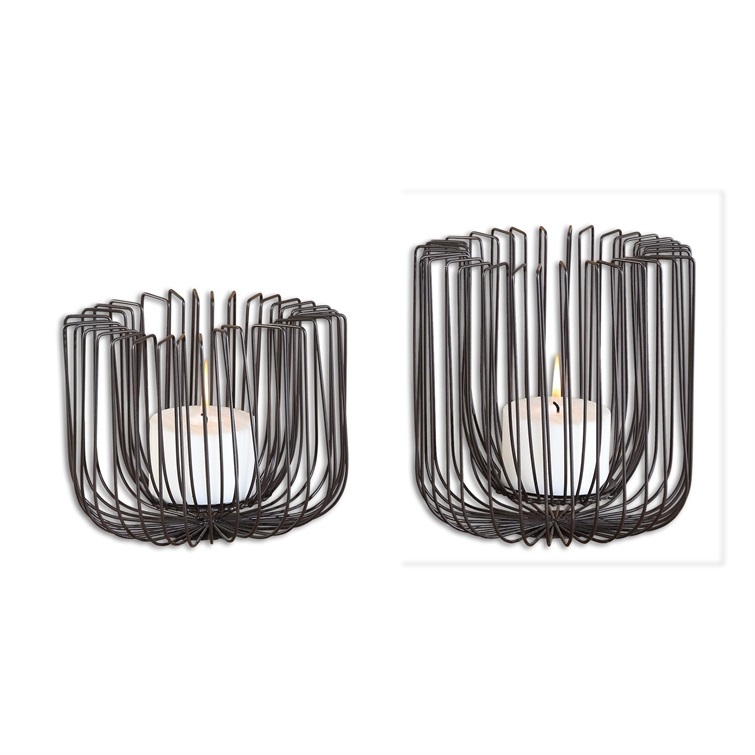 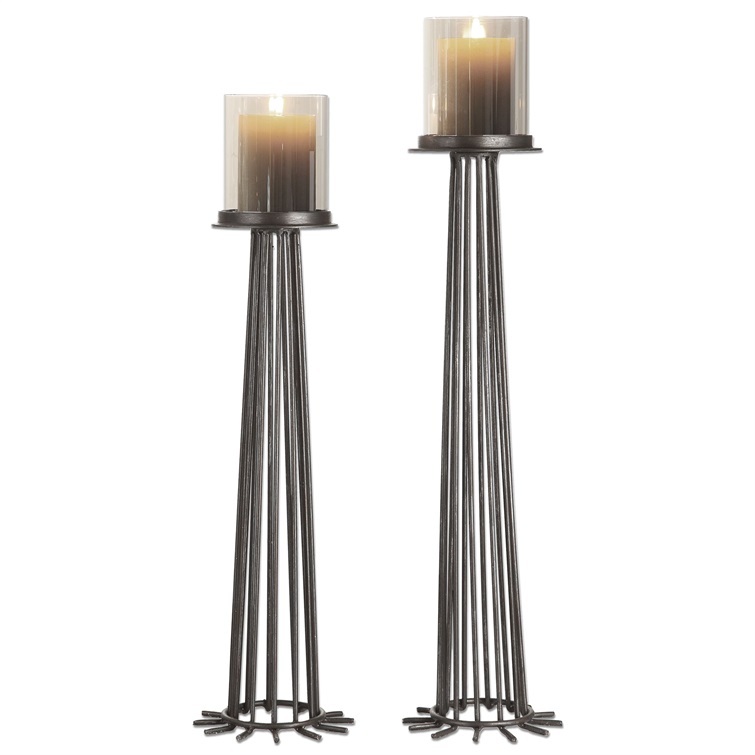 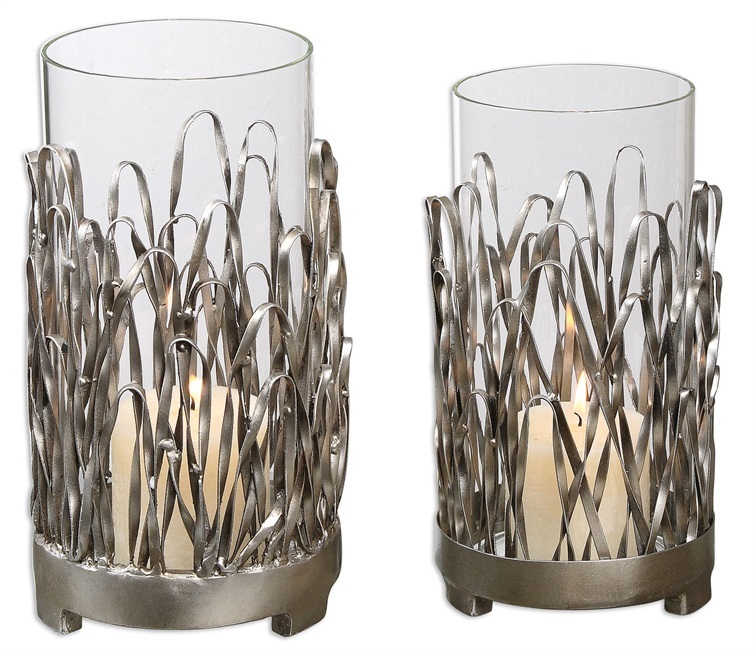 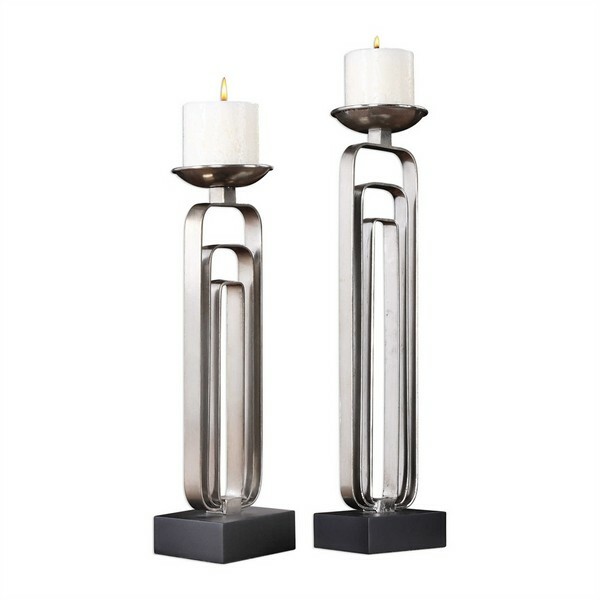 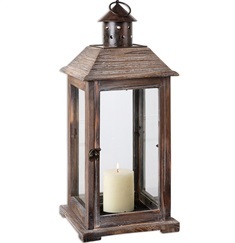 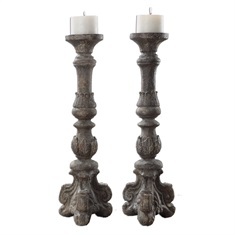 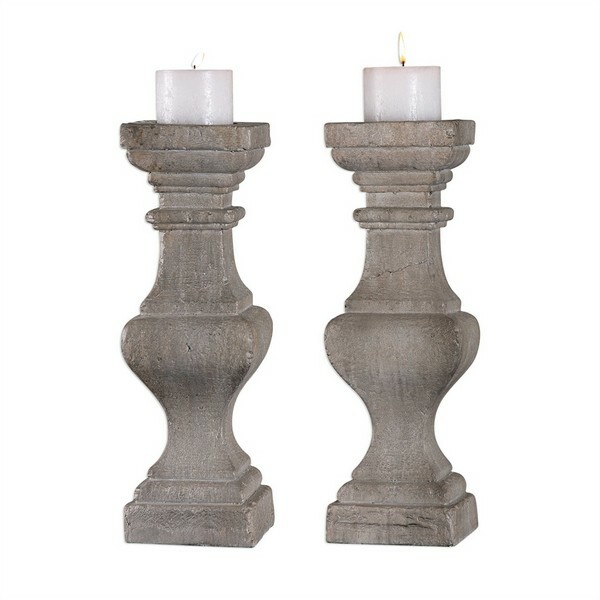 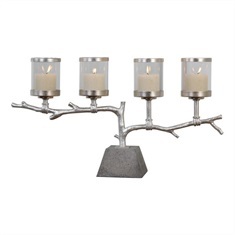 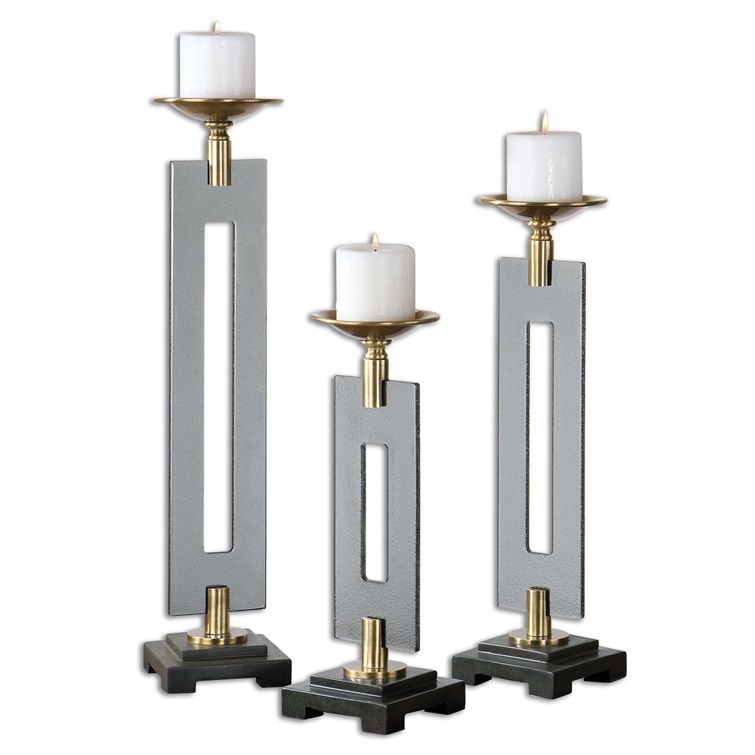 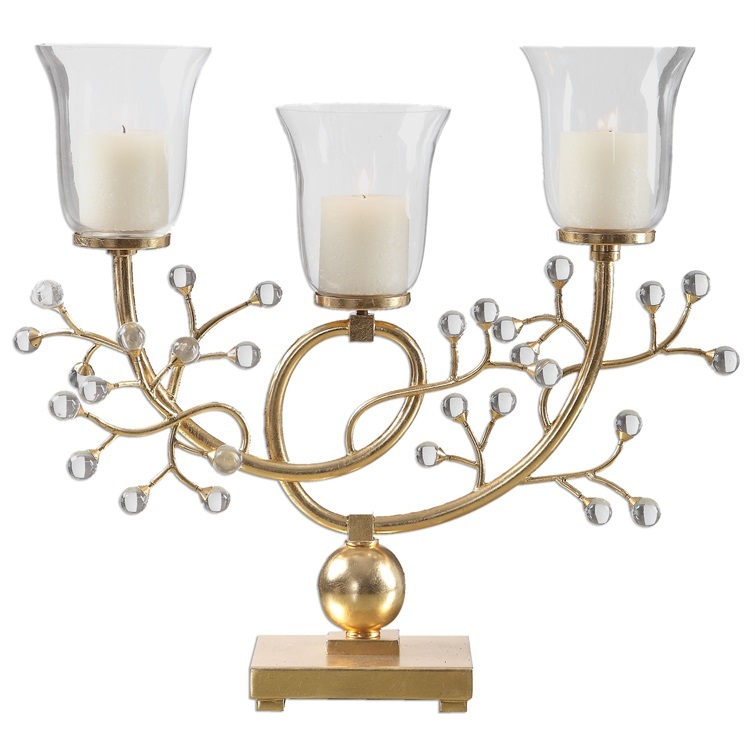 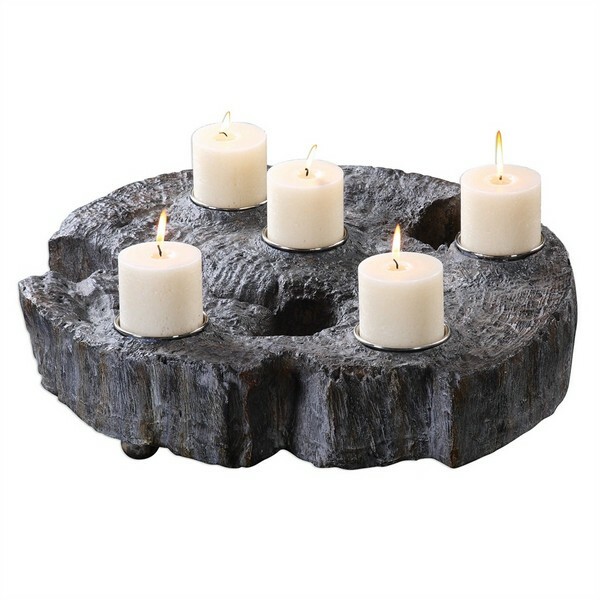 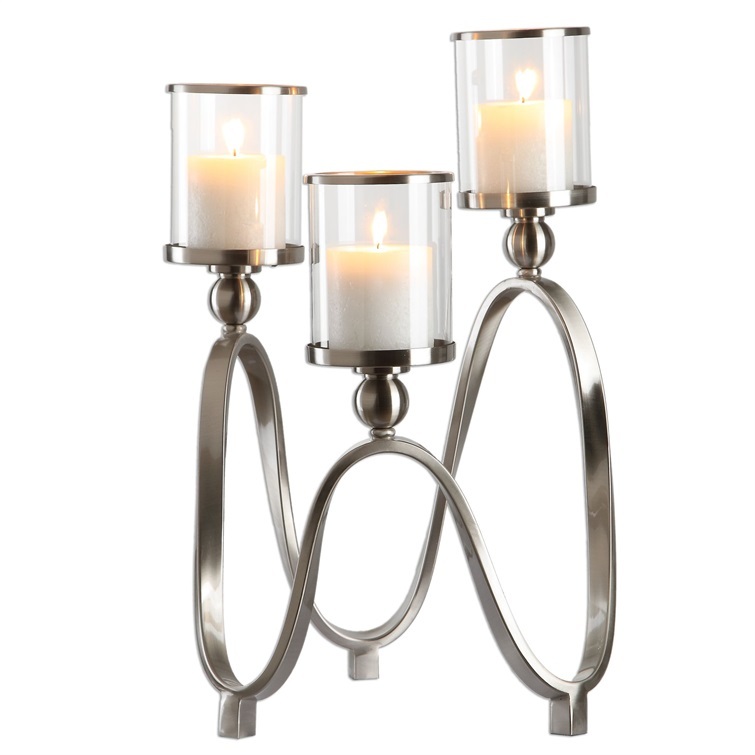 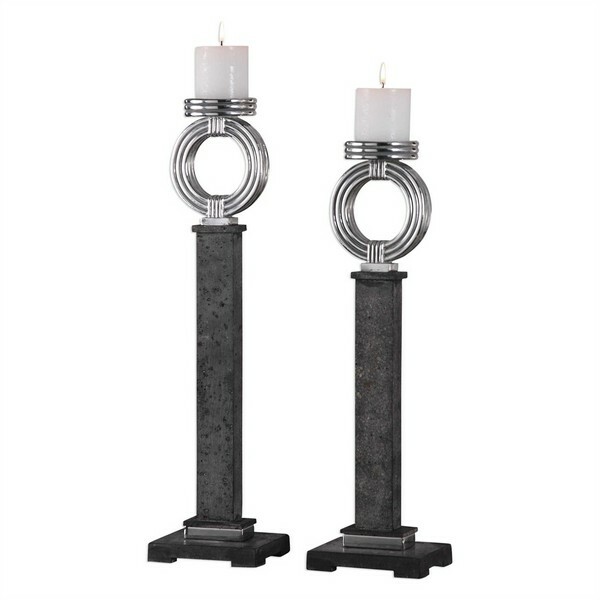 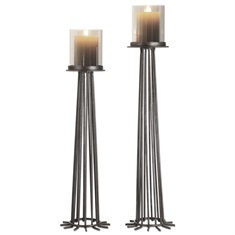 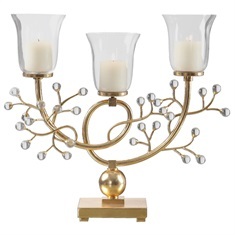 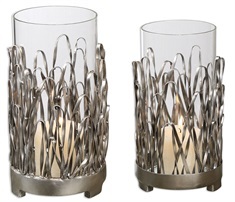 Description Candleholder is made of hand forged metal finished in champagne silver and pewter. 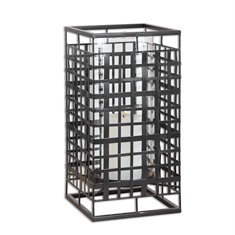 This may be hung on wall or used on tabletop. 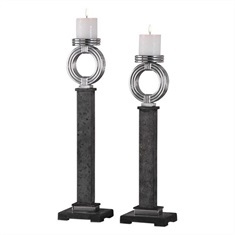 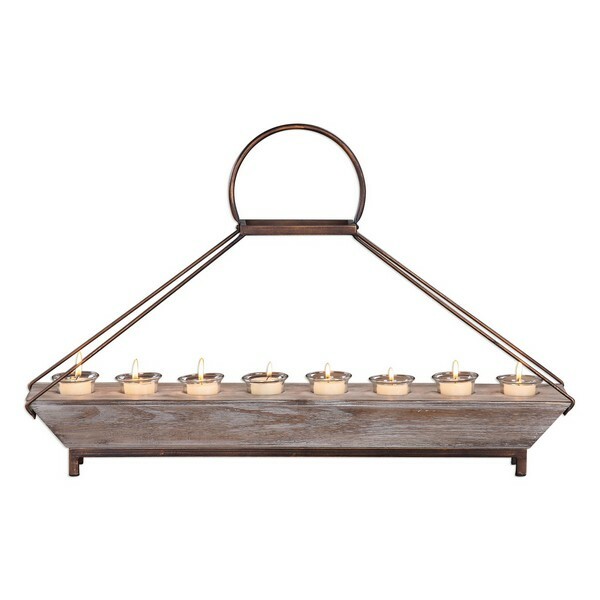 Two white candles included.